You are here: Virgin Islands News Online » News » Hon Pickering drops out race for NDP Presidency! Hon Pickering drops out race for NDP Presidency! ROAD TOWN, Tortola, VI - In a surprise move that shocked the political class and some National Democratic Party (NDP) delegates, Deputy Premier and Minister for Natural Resources and Labour, Dr the Honourable, Kedrick D. Pickering (R7), has dropped out the race to lead the party he co-founded, into the next general elections. Word of this came on Sunday June 10, 2018, from senior party sources. It is unclear, if he will endorse any of the three left contesting to lead the NDP into the next general elections—due by 2019—when the party will be seeking a third consecutive term in office. 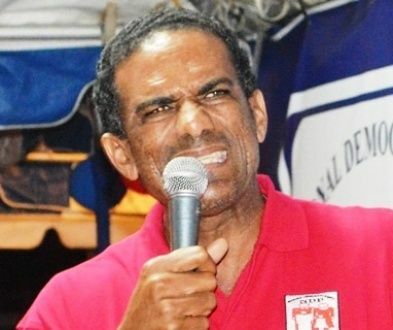 Pressed on why he did not enjoy the support of his party comrades—having been alongside Dr the Honourable, D. Orlando Smith (AL), for such a long time—many delegates declined to comment. First elected in 1999, with the NDP, Dr Pickering has won five consecutive general elections. Next year (2019) will mark 20 years since taking 'public office' for the Deputy Premier. 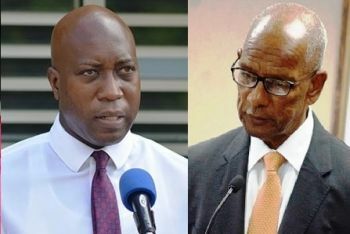 The NDP's June 23, 2018, internal elections for the post of party president, is now down to a three man race between incumbent, Dr Smith, Minister for Health and Social Development, Honourable Ronnie W. Skelton (AL), and Education and Culture Minister, Honourable, Myron V. Walwyn (AL). Many delegates have told our newsroom, that as of today, June 11, 2018, Hon Walwyn is the front runner and some are waiting to see if Dr. Smith will also pull out of the race. The NDP has been embroiled in wave of turmoil following its win at the 2015 general elections, with at least one Minister of Government now under investigation into a wall erected around a school. Several NDP elected members have also publicly slammed Premier Smith, over his perceived poor leadership, in addition to calls for him to be stripped of the ‘Ministry of Finance’ portfolio. heard not even his east end man Malone was supporting him! This man brought down the BVI. Let him go fast fast. Now vino why that vicious looking picture of Dr Pickering. You couldn't find a better pic of the Deputy Premier lol? Truly a sad day for the political future of our country! Given that the front runner is concerned most about the general welfare of others and even more less of the indigenous population, says to me that, perhaps, the NDP's future as the people's party is at peril. Come clean and say you are dropping out the NDP. Is this a strategic and tactical move by the Deputy Premier? The Premier has not publicly stated that he is stepping down so can we assume that he is running for leadership of the party? The Deputy Premier that he is loyal to and supports the Premier so it makes sense that he step aside if the Premier is not stepping down. If the caucus is so displease with the Premier leadership how come have they not acted sooner? Were they putting their self interest before the people’s interes? Is there a palace coup in the making? the time has come for us to brush off Andrew Fahie and vote for him and Willock. So only you could have been given that name...plz! Love the picture of Picko. Dr. Pickering is a man who will fight for what is right. We can put our financial future in his hands. An indigenous Virginislander must head our political system. Not one claiming to be born here with no parentage tied to these islands. Educated in and through these islands and know the history of the islands. We do not want someone who wants to change everything about these islands. We are Virginislanders and British Citizens. No single man should be able to erode that because he did not grow up in these islands and know our struggles. Loosen up your girdle Becky! Your birtherism views are a desparate and cheap attempt to delegitimize candidates. We saw the same unsuccessful attempt by Trump with Obama. Cowards! Not matter where you were born, you are where you were raised. Every country has laws and rules in place to protect its people, when some one is against these very laws how can he rule that country. For your information you would then have to look for an Amerindian. They are the only indigenous people to these lands. Our forefathers were African slaves. They were never asked which Island they wanted to slave on. They came here by chance. Let me repeat we are defendants of African Slaves "born here". It is shameful that a Christian Society can be so bitter . Is being born in Tortola , grow, up in Tortola, educated in Tortola, give back of your time in Tortola , use your skills and knowledge back to Tortola not make you “one of them” ? What is the criteria for being accepted by some such narrow and shallow minded people . Many of them will live a life time and hardly ever contribute to this country. Some of them sick every week when they want to take time off . They other “people “ work behind the scenes and “they” get the accolades. Very pretentious society . One hundred Frenchmen can’t be wrong . However, there are great people on both sides of the fence . But if 65 % of a population has a certain mentality that would have to be the conclusion . Jealousy is killing this society !! 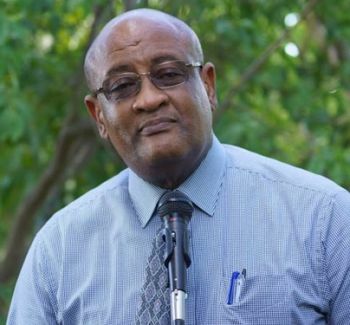 If the guy was truly for the People of the VI he would be accepted, as a people we dislike any one that brings too much attention to self we have always been a more subtle people -This is the issue with VI-landers vs Outsides. Do you have to sound so stupid? He runs the Labour Department. The whole country could be one huge Labour Department.